DC and Marvel seem to have carved their own particular niches out in the world of adapted comic books. DC would not be seen dead replicating the slapstick feel of Avengers or Iron Man, but then this is also reflective of their printed counterparts. This forked progression which has demonstrated some excellent screenplay writing is also apparent in Guardians of the Galaxy – something which has, up until now, escaped my comic clutches. Regardless, 2 hours flew by in a raucous display of action and adventure whilst pulling from a number of different emotions that will have you swallowing a lump in your throat one minute and holding in laughter next. A wonderful mix of classic sci-fi/fantasy action that for me, marks its spot as second, if not equal, to Avengers. 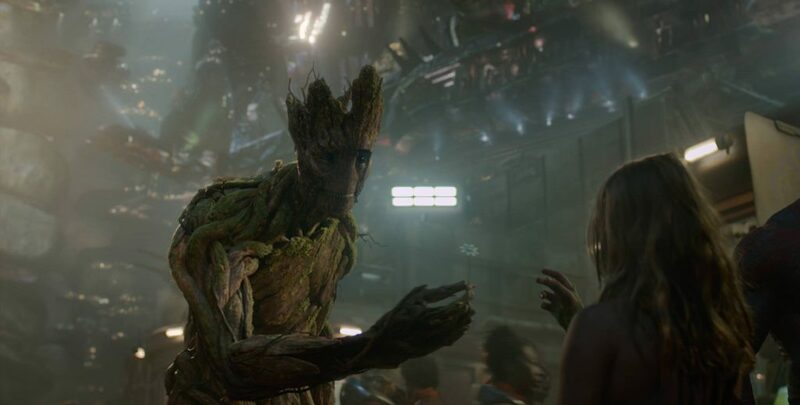 How they can squeeze so much affable character from a racoon and his walking tree (one of the most awesome characters ever) is beyond me.